Old hands will know this. If you force a too-tight bearing into the hub, it spreads the hub and splits it. First thing you notice is that the hubcap won't go on, hence the split hubcaps to be found at swapmeets. Careful examination of the hub will show a split running across the threads. Not sure of the best repair, but to avoid it in the first place,I suspect it is worth considered grinding the outside of the race and using Loctite. Anyone else got ideas? I had one wheel the hub cap wouldnt go on due to years of abuse. I used a thread file from McMaster Carr. Part number 2616A11 for $12.00. Took a bit of time but the threads now fit easily into the Hub Cap. 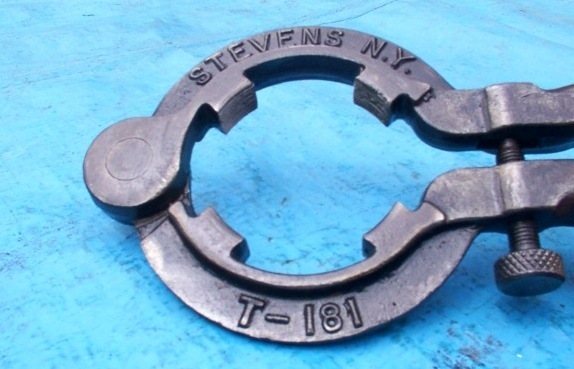 Stevens T-181 is for repairing hub threads. It's mighty scarce and is usually costly. Not long ago there was talk of somebody reproducing it, but I don't recall the details or where that project stands. 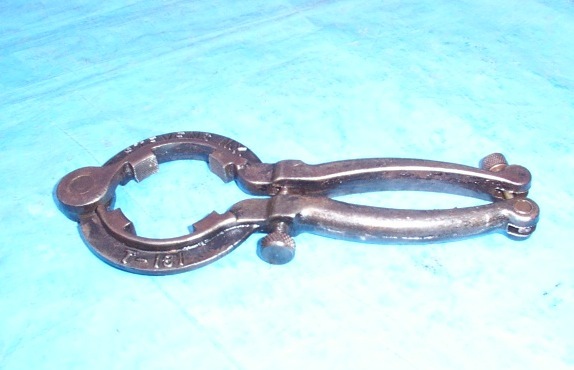 Perhaps one could make a tool like this to press the hub to the proper shape, weld the cracks, and repair the threads with the Stevens tool or something like it. The swollen hubs are caused by one of two things. 1. 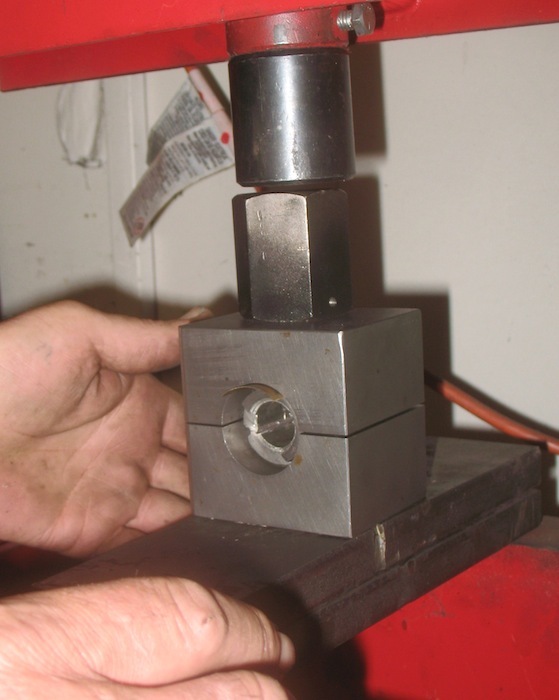 The bearing cup is not started in correctly, causing it to tip & bind and to not go in straight. 2. The spindles are swapped around right to left and driving will cause the bearings to screw further onto the spindles until they get so tight that they blow the hubs open. Happened to a buddy of my dad's. Locked both wheels up tight! Probably a few other things can do it as well, but I believe those 2 are the most common. I seem to remember reports of some oversize cups on the market once. It only takes a thou or two to go from a snug push fit to having to pound it in.